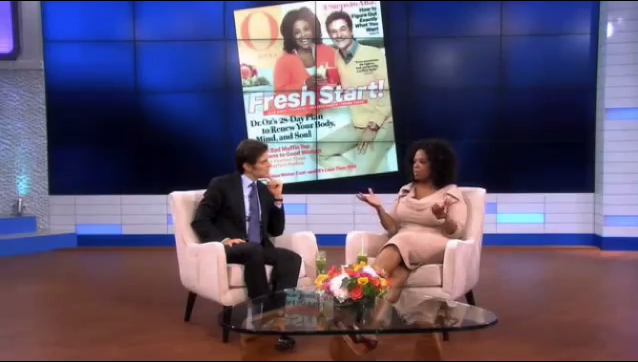 In the first part of Dr. Oz’s exclusive interview with Oprah, she discusses why she cancelled her show, what she misses most, and what it’s been like starting her Next Chapter. 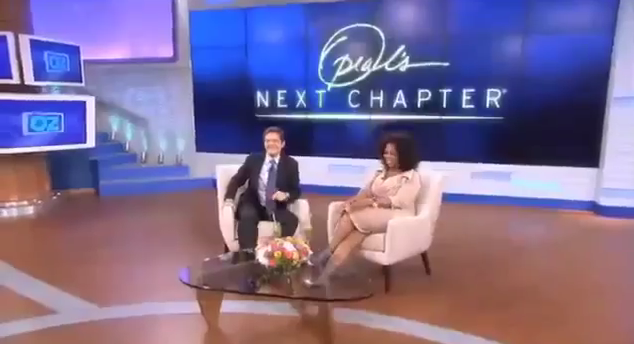 Later on in the interview—and here is that video clip everyone is talking about—Oprah Winfrey discusses her experience with Transcendental Meditation. Oprah mentions a visit she made to ‘TM Town’ in Fairfield, Iowa, where, she says, a third of the town meditates. To better prepare for the visit, Oprah invited teachers of Transcendental Meditation to teach her and her staff how to meditate. She then shares the wonderful transformations that have been occurring as a result of everyone meditating twice a day, before and after their workday. To get an appreciation from where Oprah Winfrey came from, and “Why the ‘talkinest child’ understands women and the power of television better than anyone else,” read The Glory of Oprah in the December 2011 ATLANTIC MAGAZINE. See Oprah writes in O Mag about her visit to TM Town and meditating with ladies in their Golden Dome. This happened later as a result of Dr. Oz’s interview with Oprah: Dr. Oz on Transcendental Meditation. Below is a sampling of some of the reactions to the Oz interview. Enjoy! MUM Review: Oprah Visits Campus; Program to Air Early Next Year on OWN. As a result of Oprah offering TM to her employees Dr. Oz did the same. Watch these videos, which came out later: Dr. Oz on Transcendental Meditation and Dr Oz’s gift of TM to his employees resulted in personal and corporate benefits — see the video. This entry was posted on December 14, 2011 at 11:53 am and is filed under Articles, Videos. You can follow any responses to this entry through the RSS 2.0 feed. You can leave a response, or trackback from your own site. What a great and glorious post, Ken. And thanks so much, once again for the link! Oprah gets it, and thats really good and important.